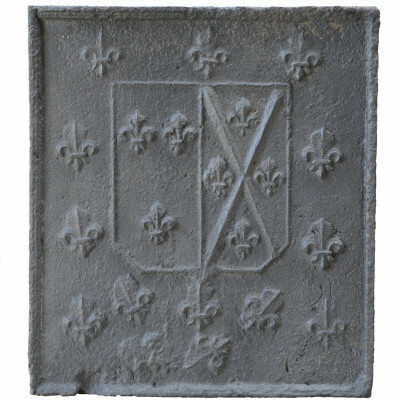 Dating from the 18th century, cast iron fireplace plate. Part I, azure sown with fleurs-de-lis of gold, on the 2d, azure a sautoir Gules set by four fleurs-de-lis Or. Model close to Carpentier 928.